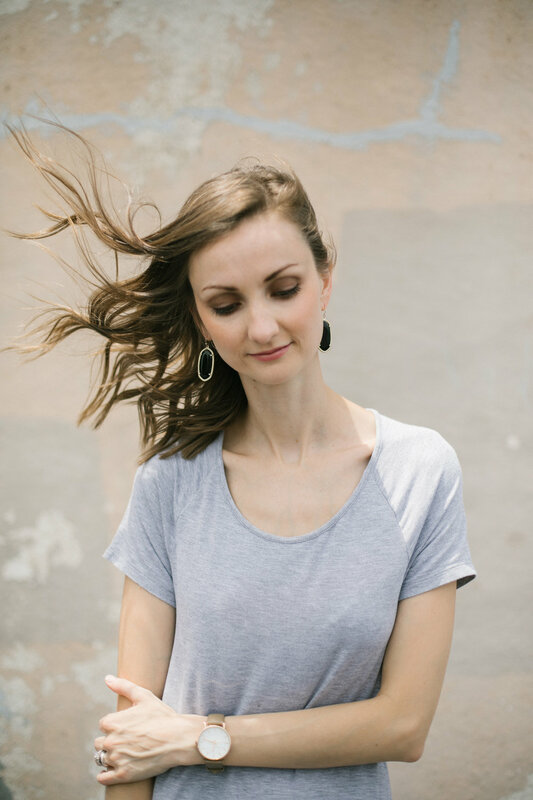 An entrepreneur, designer, writer, and glass half full kind of gal dedicated to helping you build an intentional business that gives you the freedom to live a more intentional life. I didn't always have this outlook on life. At one point, I wore busy as a badge and was proud of the fact that I could multitask anything. These days, life is a little different. My schedule is still full but in a different way. Instead of stretching myself too thin, over planning my days, and working too many hours, I am choosing to business a different way. I am choosing to do business in a way that best serves my life. I’m breaking the rules to create ones that work better for me and my business. Over the last few years I’ve learned that you can’t do it all and do it well. I’ve learned that in order to really succeed we have to define what success means to us and stop worrying about everyone else. I learned that we can live a life we love and run a business that supports that life fully, and I want to help you do the same. Because I want you to work less and live more. I want you to enjoy time with your family, read that book that’s been sitting on your nightstand, and spend the weekend making pancakes and sipping coffee slowly. I want you to build an intentional business because I know firsthand how much freedom it can give you to live a more intentional life - the life you’ve always dream of - when you are intentional and purposeful about how you manage your business. For the last 6 years, I’ve been serving women just like you. Women who want more from life - who want the freedom to do what they love and live the life they dream of living too. Through intentional business development, valuable education and resources, and a place of community, I’ve been wholeheartedly devoted to giving you that dream and helping you pursue your passions. I am a city girl turned farmer's wife who has grown to love and cherish slow living. I am married to my best friend and blessed with two beautiful children. I strive to live my life for what matters and take time to enjoy each day as it comes. As a small business owner, wife, and mother I know firsthand it's hard to draw the line between our work and the rest of our lives. But I believe that the two can exist together beautifully and my mission is to help you do that. Need someone to guide you through creating a strong brand strategy and building a powerful online presence? Ready to make sense of the content overload and move forward with intention in your business? Want to dive deeper into how I run my own intentional business and live an intentional life?